The following are the latest results contributed by HM Courts Service, for cases sentenced by West Sussex Magistrates’ Court sitting at Worthing and Sussex (Central) Magistrates’ Court sitting at Brighton from December 7 to 12, 2017. 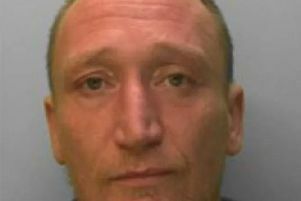 Neil Carter, 42, of Heene Terrace, Worthing, was fined £600 and must pay £480 compensation, £60 victim surcharge, £85 costs, after admitting damaging a mobile phone in Worthing on February 18, 2017. Nathan Defreitas, 21, of Drummond Road, Goring, was fined £120 and must pay £30 victim surcharge, £85 costs, after admitting drink-driving (69mg of alcohol in 100ml of breath) in Braeside Avenue, Brighton, on November 10, 2017. He was disqualified from driving for 17 months. Oliver Dawson, of Rosemary Drive, Shoreham, was fined £1,973 and must pay £170 victim surcharge, £2,302.53 costs after admitting, as an employer in Sussex, failing to ensure his employees were not exposed to risks to their health and safety on or about May 4, 2017. He also admitted failing to ensure the health, safety and welfare at work of employees regarding the preparation and cooking of food, and equipment used, no separate penalty. Krisztina Meszaros, 34, of Maple Parade, Walberton, was discharged conditionally for six months after admitting using a colour television without a licence on September 4, 2010. Kieran Findlay, 23, of Garden Crescent, Barnham, was given a community order with Rehabilitation Activity Requirement, four-week curfew, electronically monitored, from 8pm to 6am, and must carry out 140 hours’ unpaid work after being found guilty of assaulting a police constable in the execution of his duty in Barnham in July 16, 2017; damaging a Sussex Police patrol vehicle in Barnham in July 16, 2017; using threatening, abusive or insulting words or behaviour, religiously aggravated, causing harassment, alarm or distress in Barnham in July 16, 2017; and admitting using threatening, abusive or insulting words or behaviour, with intent to cause harassment, alarm or distress in Barnham in July 16, 2017. He must pay a total of £150 compensation, £350 costs. Sid White, 21, c/o Normandy Road, Worthing, was given a community order with Rehabilitation Activity Requirement and must pay £50 compensation after admitting using threatening, abusive or insulting words or behaviour with intent to cause fear of unlawful violence or to provoke unlawful violence on April 14, 2017; and destroying a mobile phone on August 7, 2017. Chris Copeman, 26, of Wyndcliff Road, Charlton, was discharged conditionally for 12 months and must pay £20 victim surcharge, £85 costs, after admitting assaulting a police constable in the execution of her duty in Lancing on August 13, 2017. De-Shaun Miller, of Metcalfe Court, West Parkside, Greenwich, was discharged conditionally for 12 months and must pay £20 victim surcharge, £85 costs, after admitting possessing 1g of cannabis in St Thomas’s Road, Worthing, on November 24, 2017. James Stevenson, 29, of Wealden Close, Crowborough, was fined £285 and must pay £30 victim surcharge, £85 costs, after admitting drug-driving (6.2mg Delta-9-THC per litre of blood) in West Way, Lancing, on August 31, 2017. He was disqualified from driving for 12 months.